Orange is the New Black Cast in Real Life – They Look SO Different! We’re used to seeing them behind bars and we can hardly imagine what they look like without their jumpsuits on. The Orange is the New Black actors are barely recognizable when they’re away from Litchfield Penitentiary. In the real world, Pennsatucky, Crazy Eyes, Daya and more look totally different from their criminal selves on the show. It’s great to see Taystee don a different hairstyle for once. We guess that big, bouffant hair is strictly for the show! Did you know that Danielle Brooks starred in the Broadway production of The Color Purple? Her portrayal had her nominated for a Tony Award! The Orange is the New Black cast in real life will shock you – especially Taryn Manning, who’s a far cry from Tiffany! Believe it or not, she doesn’t look as awful as Pennasatucky in real life! The great actress who plays the god-loving prisoner is actually blonde in reality! Well would you look at that! It’s Red without her kitchen uniform on! 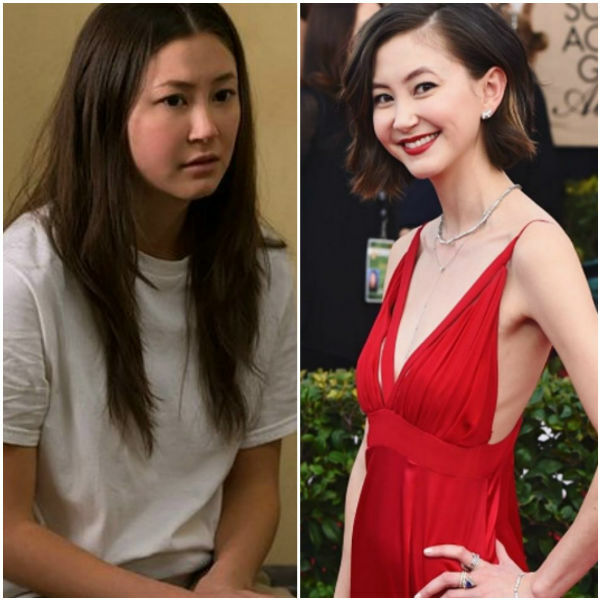 Her real-life look is so much more glamorous than her prison-look! Believe it or not, Kate’s acting career spans across four whooping decades! Other than OITNB, she also starred in Ryan’s Hope and Star Trek: Voyager! Without her red lipstick and cute curls, Lorna Morello isn’t totally different in real life. 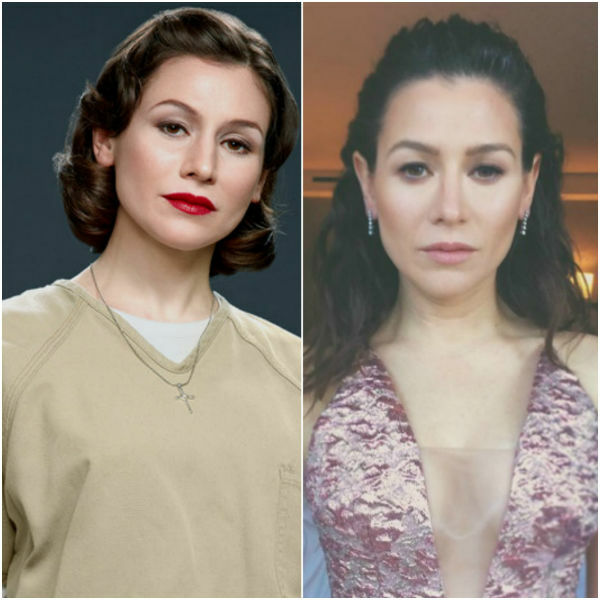 Yael Stone is just as dainty and dear and certainly just as pretty. Fun fact? She’s Jewish-Australian and her grand-parents are Holocaust survivor parents! Although not too different from her character on the show, Taylor Schilling looks a whole lot more elegant than she does as Piper Chapman. Her role as Piper has led her to become the proud owner of 2013 Satellite Award for Best Actress! Now that’s what you call a transformation! If Uzo Aduba walked passed us on the street, we certainly wouldn’t recognize her as Suzanne from OITNB! Crazy Eyes in real life looks so different! Her incredible portrayal has rewarded her with two Primetime Emmy Awards and two Screen Actors Guild Awards! Well-deserved! We’re used to seeing Daya with a very laid-back look on the show. In real-life however, it’s rare to see Dascha Polanco not looking trendy! She’s always dressed to impress! Did you ever think you’d see one of your favorite inmates looking super-glam? Samira Wiley is gorgeous and probably just as cool as she is on the show! Fun fact? Samira recently married Lauren Morelli, the writer of Orange is the New Black! We’re feeling those glasses, Lea Delaria! Guess what? Big Boo has more outfits in her closet other than that prison suit! Did you know that she was “the first openly gay comic to break the late-night talk-show barrier” with her 1993 appearance on The Arsenio Hall Show? Lea is a comedian and jazz musician as well as an actress! Sophia is just as sassy, stylish and fabulous in reality! She looks classy both in and out of a prison cell! Here’s a little something for you – Laverne has a twin brother who portrayed the pre-transitioning Sophia on the show. Sadly, the actress has revealed that she attempted suicide aged 11 when she was bullied at school for not acting “the way someone assigned male at birth was supposed to act”. Stella is still our woman crush outside the series! The stunning prisoner is just as beautiful in reality. Guess what? She’s also great at modelling! If you look close enough, you might just recognize the feisty inmate Janae in this happy-looking lady! Vicky Jeudy is a lot more smiley in real life then she is in the series! Seeing Alex without those thick-rimmed glasses is a breath of fresh air. The actress, Laura Prepon has dark, long locks in real life too! Oh em gee! Adrienne C Moore is poles apart from her character on the show! From her casual afro to a beautiful up do, it’s safe to say Adrienne looks like a whole new person outside the show! Natasha Lyonne isn’t all that different from Nicky on the show! She probably has less attitude but she sure looks just as funny and fun! You might remember her from the classic 90’s movie, American Pie! Let’s hope Aleida isn’t as much of a meany in real life as she is on the show. 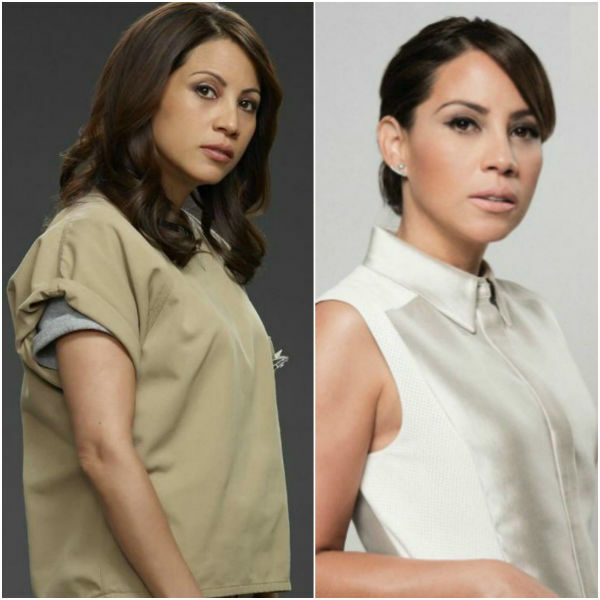 Believe it or not, Elizabeth Rodriguez, who plays Daya’s mom is only 36 years old! You might have recognized her from Fear the Walking Dead and Logan. It’s crazy what a bit of makeup and a set of fake teeth can do! You’ll be taking a double look at Julie Lake – yes that’s the actress who plays meth-head, Angie Rice! She looks SO different when she’s not in that laundry room! We wonder if Jackie Cruz has just as much attitude as Flaca? Litchfield Prison’s most sassiest Latina doesn’t look drastically different in reality but she sure is prettier without her wild eyeliner! You’ve got to love Gloria! She’s certainly one of the best prison moms! The Latina-leader is just as cool in real life. In fact, you might recognize her from Nickelodeon series, Taina as well as Law & Order! The actress who plays Lolly is a stylish stunner when she’s not comprising her prison role. Lolly would certainly love a pair of those pink shades on the show! Did you know Lori Petty is a 90’s movie star? She starred in movies including Point Break, A League of Their Own and Tank Girl! Wow! With a bit of make-up on and by putting a little oomph into her hair, Emma Myles looks very much unlike her character on the show! What a makeover! Maria in OITNB is a treat to the eye when she’s dressed elegantly and wearing a bit of makeup! This may surprise you but Jessica Pimentel is a death-metal badass! She’s a singer for confrontational indie death-metal group Alekhine’s Gun! Pretty when she’s an inmate, pretty when she’s not. Diane Guerrero is just as cute in real life! She may look pretty much the same as Maritza but she’s certainly got a different character! Diane is a an advocate for immigration reform! Norma seems just as much the sweet lady in real life! In fact, her voice is heard a whole lot more than it is on the show. Annie Golden is a singer in real life as well as an actress! You may recall hearing her beautiful singing voice back in season one!